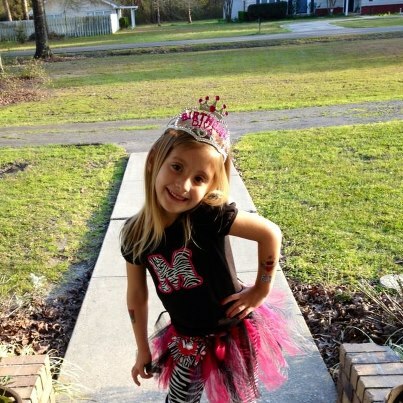 03.04.13 Madisyn’s 4th birthday, bad bad Dora, new asking price and hot nutritious dinner! We have had visitors to our blog from Greece, Australia, Pakistan, Italy, Panama, Qatar and Ireland since the last time I updated countries. Still can’t figure out why but I think it’s cool! We also have 23 followers now. I love to look at the stats and see the countries, how many followers and what they searched for to reach us. We’re still stuck on not knowing what state to consider our domicile. We have been researching Tennessee heavily due to its extremely low automobile insurance rates. It would be perfect for all aspect except for mail forwarding. We’re still trying to find a good mail forwarding service there. I’ve searched Google, Yahoo, many RV forums and don’t find that one key thing. If we don’t find one in Tennessee we’ll go with South Dakota. They have all the attractive RV friendly aspects and a few mail forwarding services. I see us more as Tennessee residents but if we must do it, off to South Dakota we’ll go since you have to spend one night there to get our driver’s licenses! 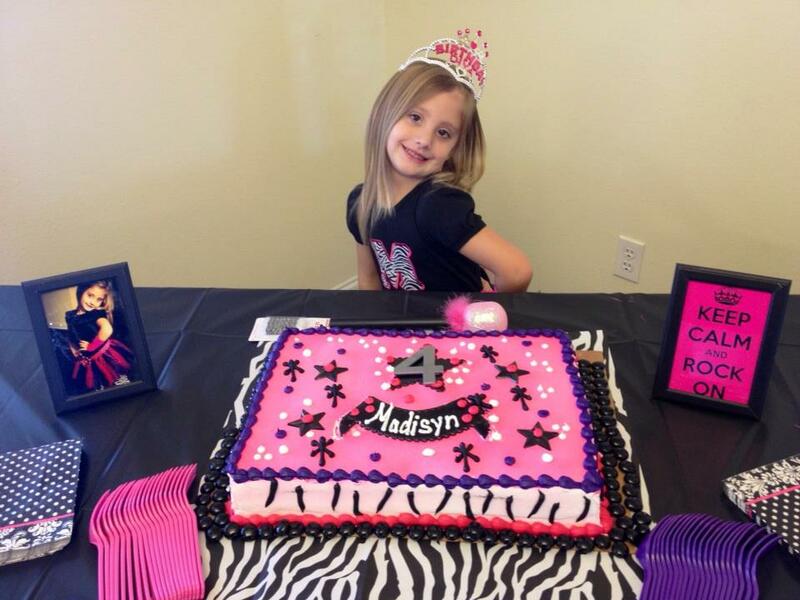 Precious Madisyn’s 4th birthday party was this past Sunday, the theme was Pop Rock Princess and she certainly was just that! For once I’m very thankful we hadn’t sold our house already because the party location was changed to our sticks and bricks house (where her mom and dad live) due to the cold, windy weather and it was a smashing success. Our empty dining room provided plenty of space for setting up three tables and all the decorations. 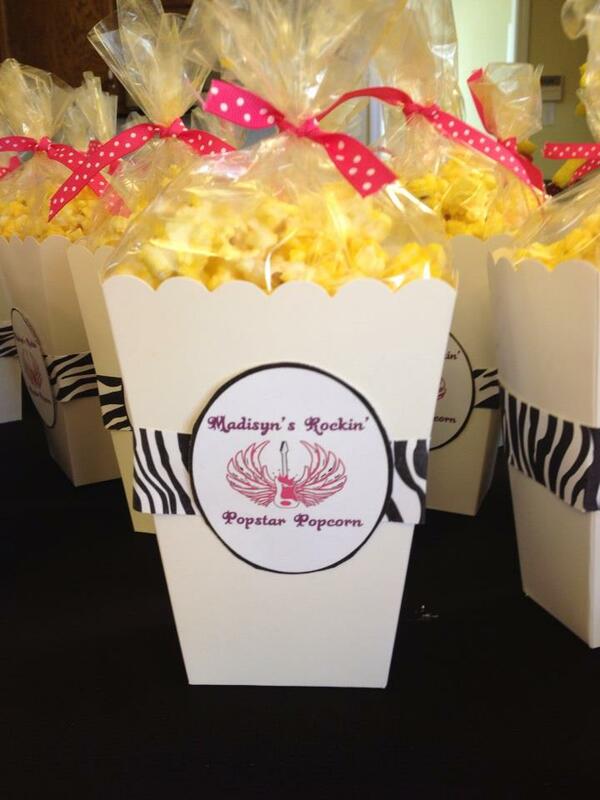 Her mommy Liz’s creative ideas all came together with some really cute decorations, food and favor ideas. 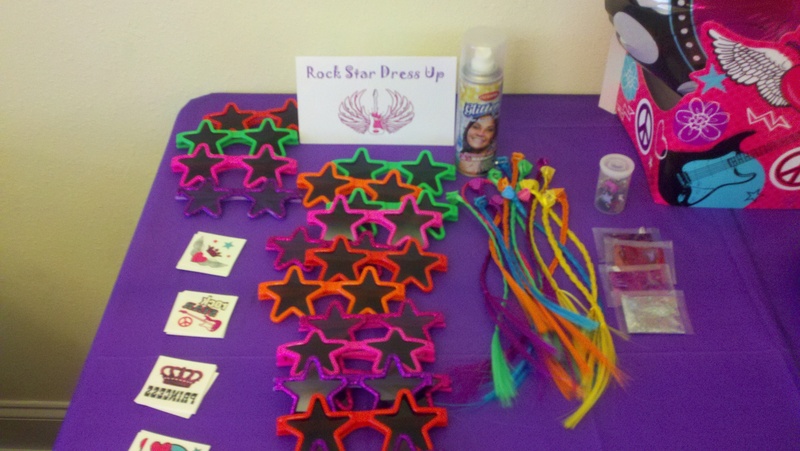 The children had a blast jumping in the castle inflatable, dressing up, breaking open the rock guitar pinata, eating rock candy, star shaped sandwiches, rock star cake and just plain old playing! 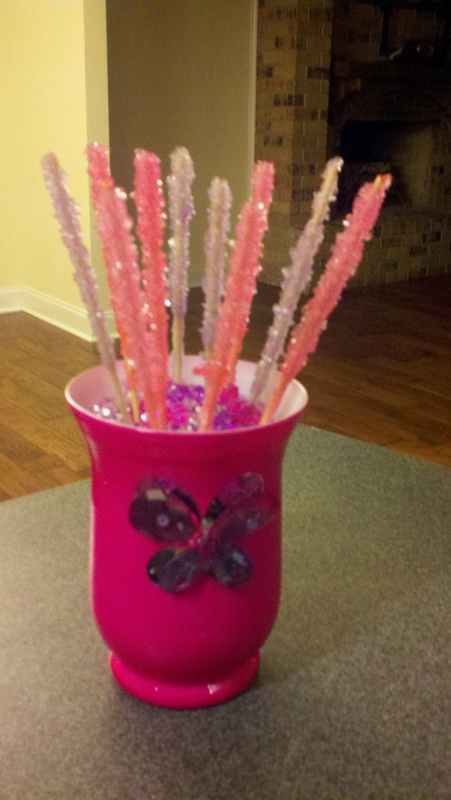 The rock candy I wrote about before wasn’t a total success. About half of them didn’t grow any rocks and the other half grew about half the rocks we hoped for. 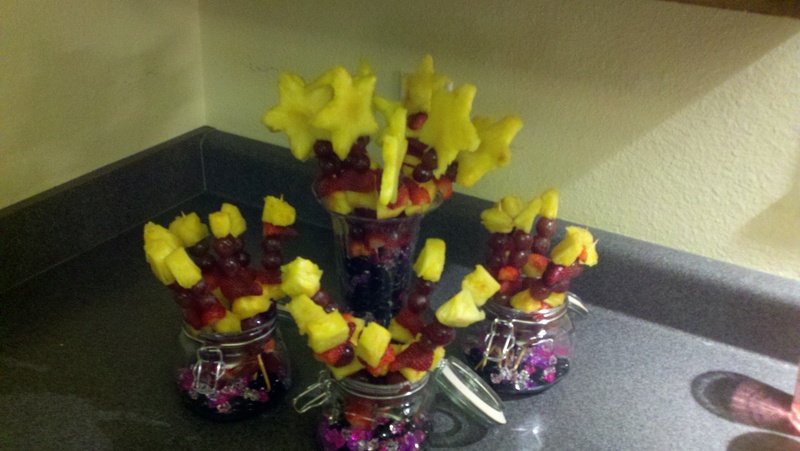 It still came out cute and we used the ones that did grow. Check out the picture of the ones that did grow! That was probably as much sugar as the kids needed anyway! We believe they didn’t grow to what we hoped they would because the directions said to set them in a warm sunny window and they sat in a cold house with very little sun coming in the window. 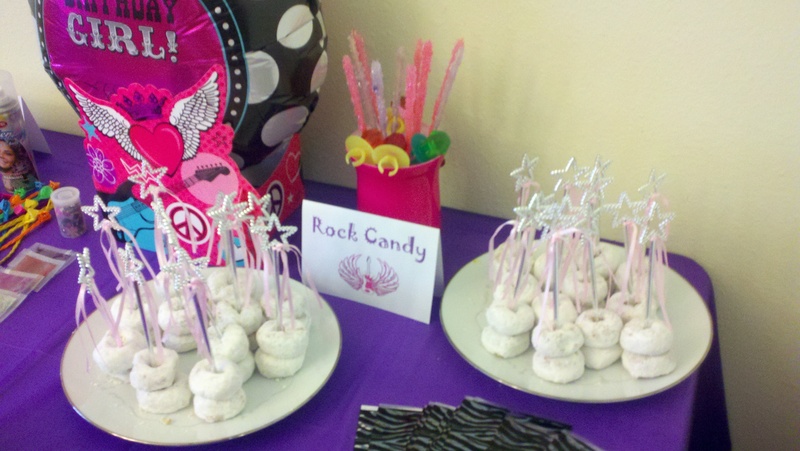 Some of the Pop Rock Princess theme foods and decorations are shown in the pictures. It’s events like this that cause us to pause and wonder how we’ll handle not being around for all this fun when we’re on the road. We’ll just have to plan to be back for birthdays and Christmas. We’ve really enjoyed Madisyn’s little visits when we get home from work and other times. Now that Roy’s retired he’s getting to spend more time with her which he cherishes. She puts a smile on our face when we’re down or not feeling good and is just so loving and such a bright little girl. Since we’ll be taking to the road soon, I guess this good thing will come to an end in due time. I like to think that God is giving us this time with her to build memories that will hold us in between visits when the time comes for us to leave. On to why there is a Bad, Bad Dora in the title. Dora has been difficult about filling her rear air bags, the motor in one of her slides broke and was changed, the lights went out in the bedroom night before last and the air conditioning that runs when we’re driving wasn’t putting out cold air. I’m sure she could be doing worse things than this and we are thankful this is all that Dora’s up to but it’s frustrating to Roy to say the least! Hence Bad Bad Dora! They are probably all things Roy will be able to take care of now that he’s retired. He’s already changed out the slide motor, he found the fuse that was causing the lights to go out, and when time allows he’ll work on the air suspension and air conditioning. The two air conditioning units in the RV works great, just the dashboard a/c is a concern. Being retired you’d think Roy would have the time to just jump right on it, but as of about an hour ago he has 5 computers he’s working on for customers. It’s a good start to his part-time business! When we go on the road he’ll be offering his services for hire to other RVers at parks where we stay. If anyone reading this in an RV ever need their computer worked on look out for our Dora and the Explorers sign! My honey had a hot nutritious meal ready for me when I got home from work yesterday. What a treat that was!!! As busy as he is now, he is still at home and I’m not. It sure is nice to come home from a hard day at work to a nice dinner. Really makes me feel loved! We made the decision to once again lower our asking price for the house and our agent is making the change known. The current problem in our area is that contractors are building brand new homes for between $85 and $95 a square foot. Since we are competing with them for sales we have to lower our price to at least $95 a square foot. Another couple we know who are selling their house got the same advice from their agent and dropped their price. I asked our agent to shout this drastic reduction from the rooftops if necessary! Git ‘er sold! < 02.28.13 Roy is Retired!!!! !